Ooh, continuing on in the challenge past the month! I get to create a list for the month of November, with tasks for platform building to continue. 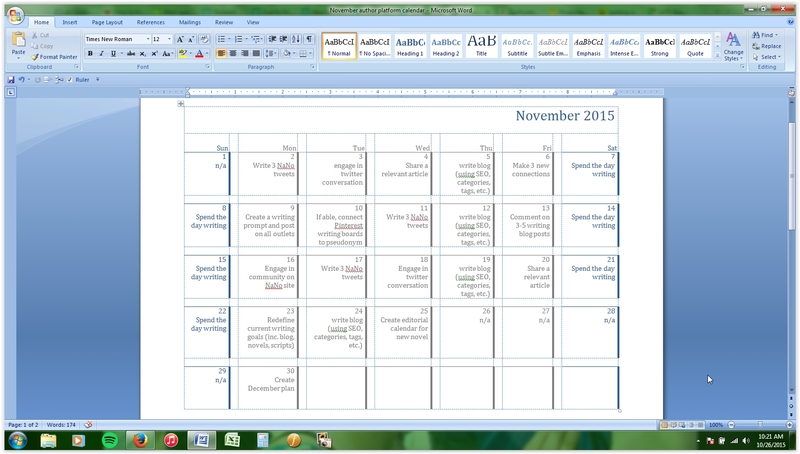 Then, in there, include a day to create the plan for December… I’m creating this in calendar form and putting here. This entry was posted in Author Platform, writing, Writing assignments, writing tips and tagged author, Author Platform Challenge, Writer's Digest, writing, writing assignments, writing plans, writing tasks.